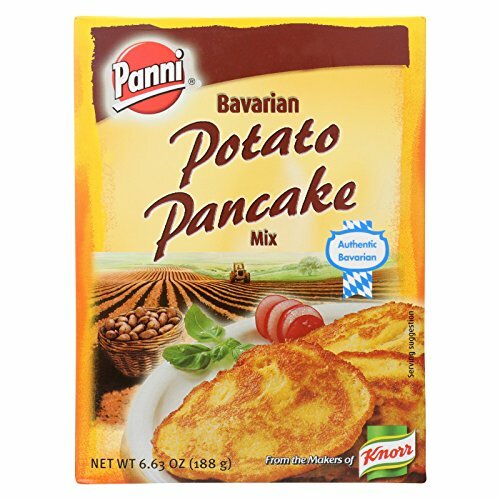 Panni Bavarian Potato Pancake Mix - Case of 24 - 6.63 oz. Panni original Bavarian potato pancake mix or shred style pancake mix makes it all so quick, easy and delicious Makes approx. 18 to 24 3inch pancakes. If you have any questions about this product by Panni, contact us by completing and submitting the form below. If you are looking for a specif part number, please include it with your message.